For those who want the maximum protection for their bike frame, the Thule UpRide ticks the box. 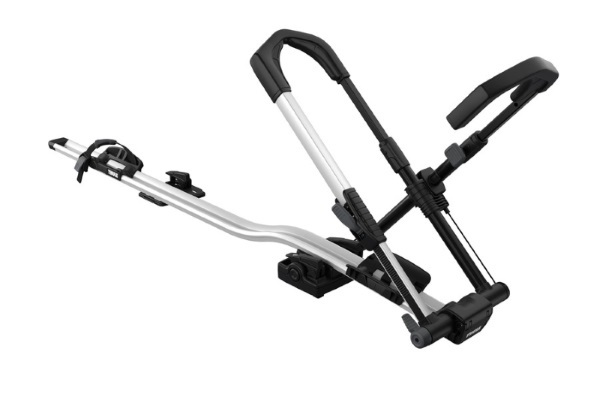 This carrier features no frame contact, with the bike mounted using a front wheel grip and rear wheel strap. This is the perfect solution for bikes with sensitive frames such as Carbon Fibre frames. 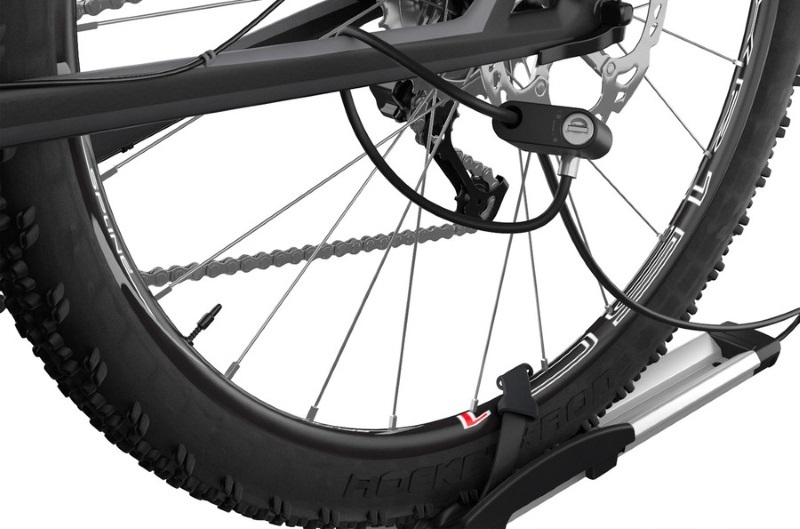 The unique wheel grabbing system will hold virtually all types of bikes and is fool-proof to load and secure. Easy-to use adjustable ratchet straps ensure the rear wheel is firmly held into the wheel tray. The front wheel clamp allows the UpRide to work with non-traditional frames such as ladies bikes, E-bikes, mountain bikes, BMX's and more! 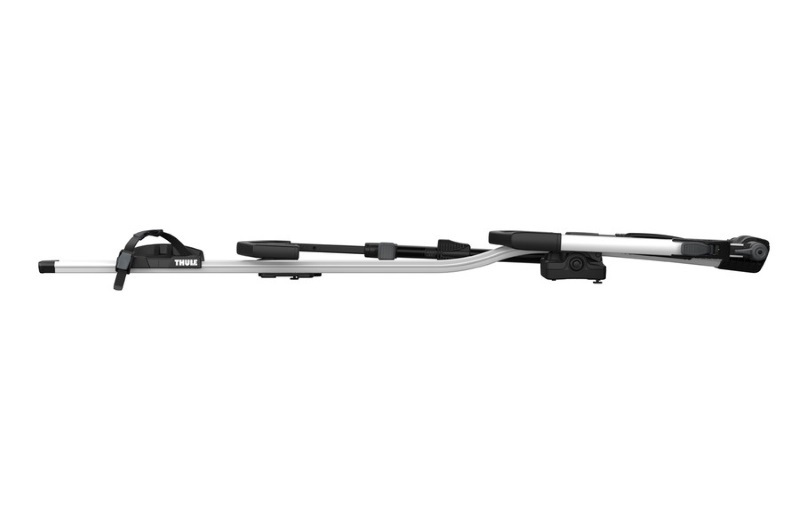 The Thule UpRide will hold bikes from 20" up to 29" and with wheelbases up to 1280mm. 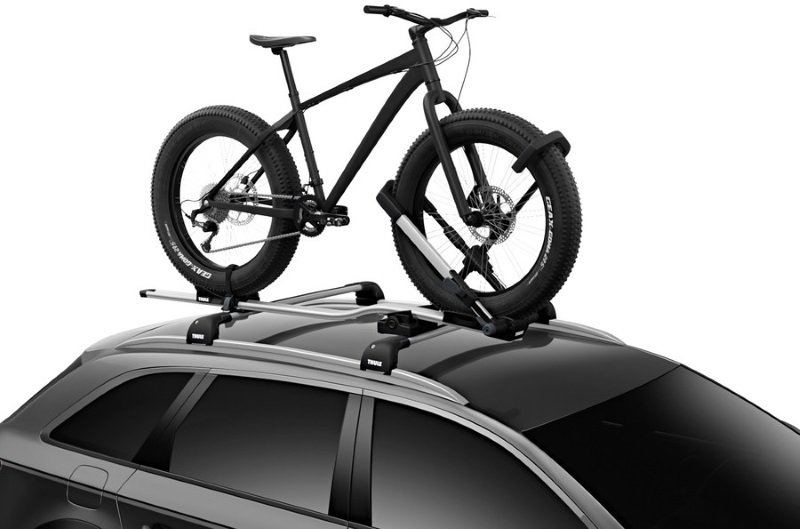 The carrier will hold wheels up to a 3" width, but using the optional Thule UpRide Fatbike adapter you can carry bikes with wheels up to 5" in width. 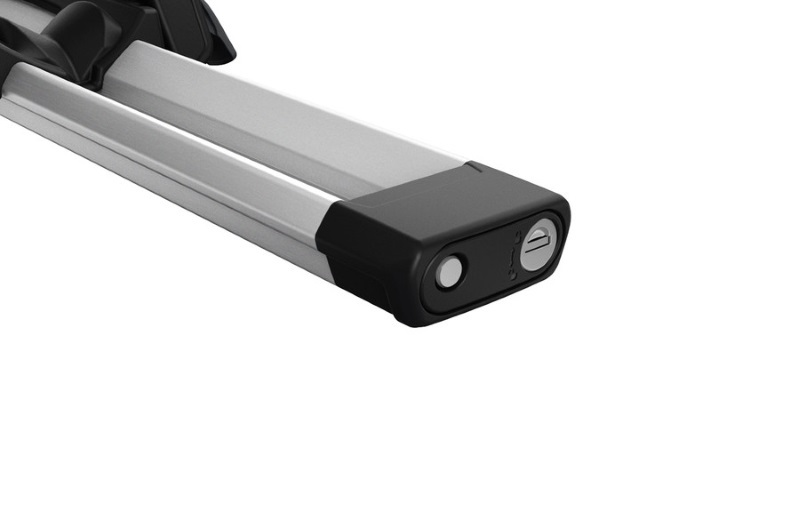 The UpRide offers a solid and secure mounting system for your bikes. 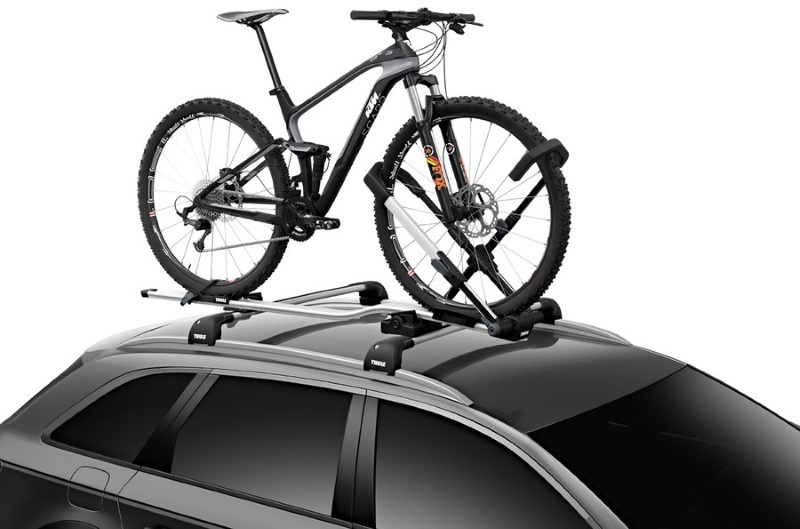 You can lock the bike to the carrier, and the carrier to your roof rack, all using the integrated cable lock. The UpRide has passed rigorous testing and industry standards so that you can be assured that your bikes are being transported safely on top of your vehicle. Wheel Sizes: Up to 3"
* IMPORTANT NOTE - Video may not show the current model for the Thule UpRide 599. We offer a delivery service for the Thule UpRide 599 throughout the UK & Ireland to home and work addresses. 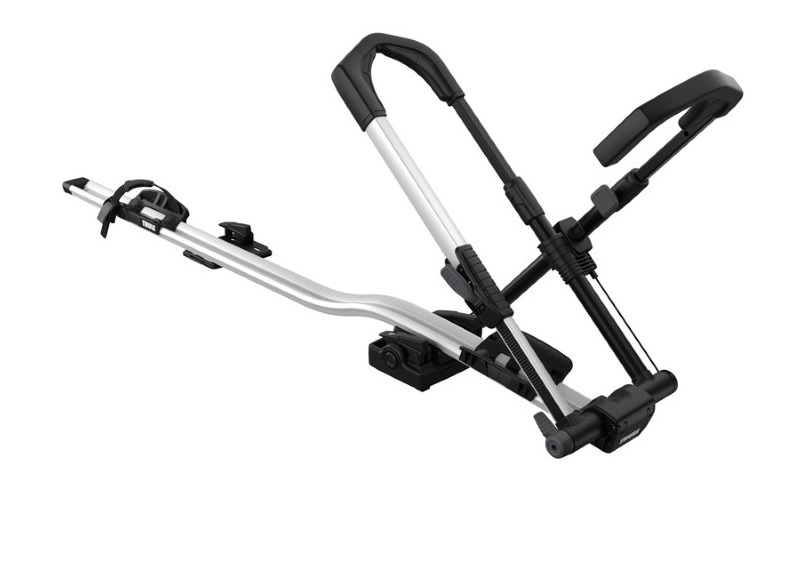 Buy a Thule UpRide 599 online from our website and collect from one of our nationwide branches.